A gain of 33.53% in 2018 for shares of Lululemon Athletica Inc. (LULU) likely couldn’t have happened without strong institutional support. LULU’s shares have been performing very well this year alongside other apparel names, with Nike, Inc. (NKE) up 14.03% year to date (YTD) and Under Armour, Inc. (UA) up 31.64% YTD. In our opinion, this performance supports a bullish undertone for the sector and thus for Lululemon stock. In the view of Macro Analytics for Professionals (MAP), the strongest indicator of positive price momentum is obtained by measuring potential institutional accumulation. In 2018, Lululemon stock has logged 11 of these rare signals, with the first bullish signal of the year on Jan. 2. We want to see bullish activity in the shares alongside solid fundamentals, as this indicates that demand for the stock should increase. MAP’s process focuses on identifying companies with healthy fundamentals accompanied by outsized, unusual institutional activity to try and measure potential accumulation/distribution at the single-stock level. By studying these data points, we can hypothesize which equities institutions are trafficking in and marry this information with fundamentally sound companies. We want the odds on our side when looking for the highest-quality stocks. Lululemon checks the box on strong technicals and fundamentals while recently showing bullish institutional momentum. We believe that the recent strong price performance of other apparel stocks supports the narrative for a potential long-term position. 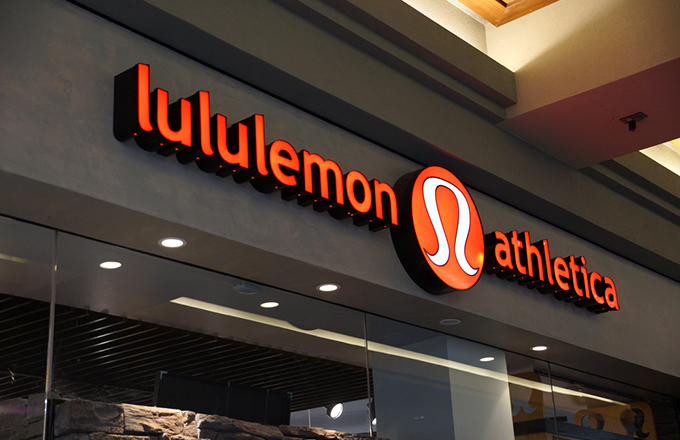 Lululemon shares have been powering higher for the past year, and with multiple unusual institutional activity signals, it could be setting up for an additional move to the upside. All of this points to further long-term bullish action for the stock. To learn more about MAP’s institutional signals please visit our “About Us” page. Disclosure: The author holds a long position in Lululemon, Nike and Under Armour shares at the time of publication. 0 responses on "Lululemon Stock Shows Bullish Unusual Institutional Activity"